This raw and first longitudinal video record of actual children who as kindergartners do a research project "pick a pet" and then are interviewed as fifth-graders about projects and information literacy skills they know, understand, and use every day. 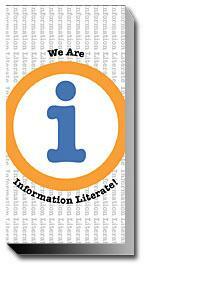 Not a slick presentation - but an amazing documentary of what information literacy teaching is all about. Not only informative but an example of documentary evidence we should all be keeping.